The new phone introduced by BlackBerry today is the new BlackBerry Z30 smartphone. The biggest, fastest and most advance smartphones made by the Blackberry. A 5-inches phone, with Super AMOLED display and 1.7GHz processor. BlackBerry z30 is operated by the latest BlackBerry 10 OS version 10.2. -including the BlackBerry Hub where you can connect and manage your notifications with friends and easy connect with friends through the web or organized your important tasks. -Open any messages in any app you're in. You can reply to the messages without leaving your current open applications. -Like what stated above, a smartphone with latest display technology of 5inches Super AMOLED. Larger, clearer and more vivid. -One part of BlackBerry 10 OS v10.2 is its BlackBerry Natural Sound where voice and video-chats sound more realistic and natural like your talking in the same room. -New generation of Antenna Technology that gives a better connectivity, like internet, in low signal areas and gives fast data transfer, it can even fixed some few dropped calls. -It includes 2880mAh battery, a longer battery life which the largest battery BlackBerry ever built. You can use the phone for 25Hours whatever you like. 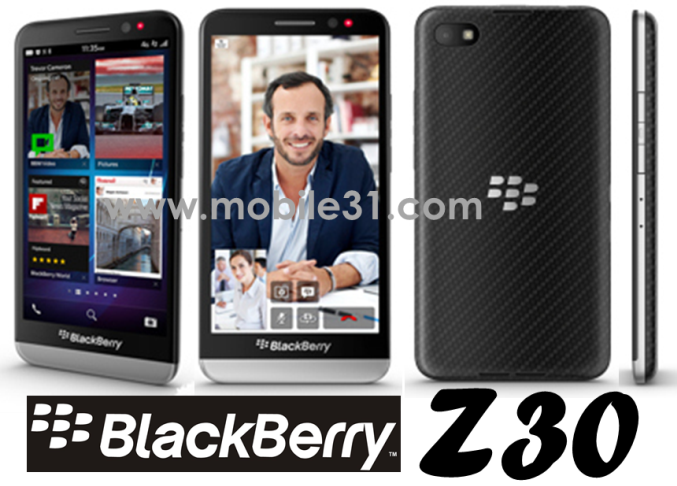 That's because of the battery enhancements combined with BlackBerry 10 OS version 10.2. The BlackBerry Z30 smartphone will be release in selected carriers and retailers all over the world beginning next week in UK and Middle East. As here in Philippines, no release date yet. But let's just base it in other regions which will be release during holiday season and beginning of mid-October.